I find myself the most inspired when listening to soft upbeat music, and this morning the tune was one of the most recent Mac Miller tracks. This might seem irrelevant right just now, but some of the lyrics were amazingly applicable to the danger of using a salon voicemail as your receptionist. As I was about to get into advising you on the best practices of voicemail recordings and greetings, here’s what was blasting in my ears: “I can’t keep on losing you / Over complications / Gone too soon / Wait, we was just hangin’”… I’ll let you make the parallel. Have you ever wondered how many clients you might have lost out because of using a salon voicemail? The goal is to drive customers in, not away. So after chatting with some of our salon training staff that have been in the industry for years now, we’ve put together some messages that will guarantee you bookings. Unfortunately, sometimes things get too busy in the salon for it to be possible to have a staff member only on reception duty. As a result, you rely on a salon voicemail greeting to do the job. But is it doing the job? 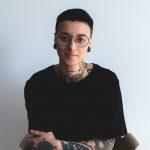 Many times, salon voicemail messages only take away from your remarkable customer service and without the wanted result: drive clients in for an appointment. This is why we do not recommend getting into this habit, even if we are fully aware it sometimes seems like the only available option. Of course, you NEED a voicemail greeting for the times your salon is closed at least. Here’s a checklist of best practices. The longer it gets, the more likely your potential client will hang up because they are annoyed. It’s frustrating enough to reach a voicemail… being helpful and friendly will go a long way and reduce annoyance! Does your salon offer Online Bookings? If so, slip that information in your recording. Drive bookings IN. Here’s why Online Bookings are the biggest opportunity you’re missed out on if you don’t offer them. If you choose to do this, make sure you develop a discipline. If you say you return calls within 2 hours, it needs to be 2 hours. Delivering on what you promise is what’s going to make your customer service stand out when it comes to busy times and people reaching your voicemail. Saying that your have available slots for Thursday can be tricky, and also requires more work on your end, as you will need to keep relentlessly updating your salon voicemail message to adapt it. However you should give the time when you are next open. Remember to give your web address if guiding your clients to book online. Background noise can make it hard for the person calling in to understand your greeting. Limit the noise around when you record your message! When you create an electronic greeting, it’s important to practice or write down your message before recording it. Your message will feel more genuine if it flows and will be perceived better. Rehearsing might even help you find the perfect wording for you! *Quick Tip* If you have your very own salon app, then make sure you mention that in your voicemail as well! 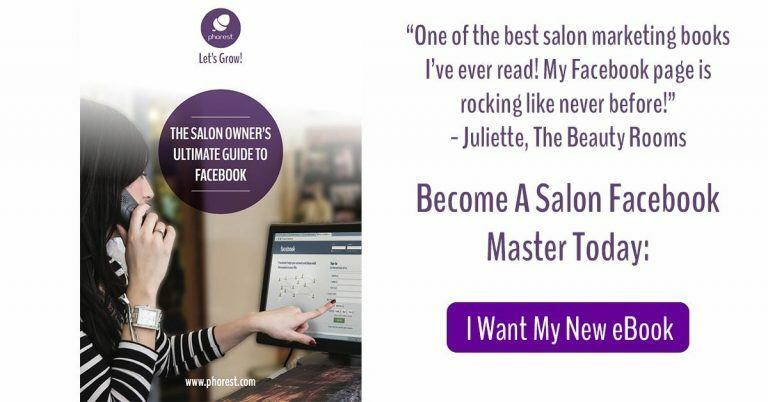 For more ideas on salon app marketing, click here. Challenges never cease to arise when managing a business. Voicemails are often one of them, as they are rushed or fall under the shadow of more pressing matters. However, a salon voicemail greeting is an unmissable opportunity from a marketing point of view. It is as important as your website, your social media presence or even your logo! It’s part of your shopfront. Make sure it’s working FOR you, not AGAINST you. 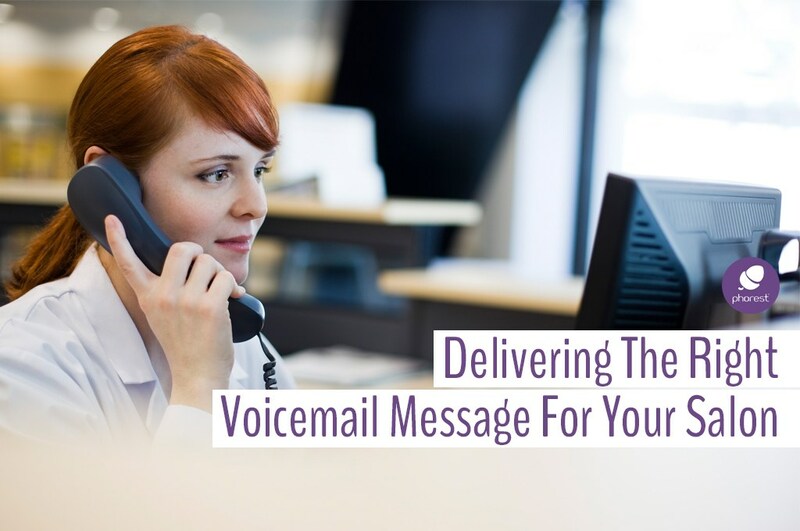 Download your FREE Phorest Two-Pager Cheat Sheet for Voicemail & Hold The Line greeting! And for more insightful marketing tips, subscribe to our blog today!